anxiety, depression, stuck life patterns. 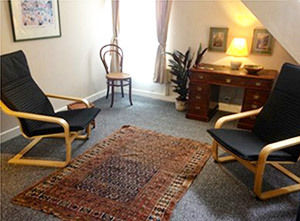 Counselling helps by providing a place where you can explore issues and gain insights that might have been difficult to discover by yourself. By being more aware about your situation, you can be more empowered to make positive changes. This can help alleviate feelings of stuckness, despair, depression. When there is a sense of a way forwards that sits well with you, life gains new hope. I work by listening to your concerns, and helping you see them from new perspectives. The space I provide is free from judgement. My training allows me to notice feelings and responses you might have that you were otherwise not so aware of. By bringing these to your attention in a careful and gentle way, you might come to know more about your concerns, and be able to more easily address them. I offer short to long term therapy to help with a variety of emotional issues, finding new directions, or anything that might be concerning you. I offer sessions in Clifton and Southville, Bristol, and find the best results come from seeing clients on a weekly basis. Everything we share is confidential. Do call with any questions you may have, it can be daunting making the first move, but you’ll be glad you did!